High pressure tanning is the quickest way to get maximum color! When used in combination with conventional tanning packages, high pressure sessions will enhance your tan -- making it deeper, darker and a more luxurious bronze! In high pressure beds, members can start off with the maximum 15-minutes their very first visit. 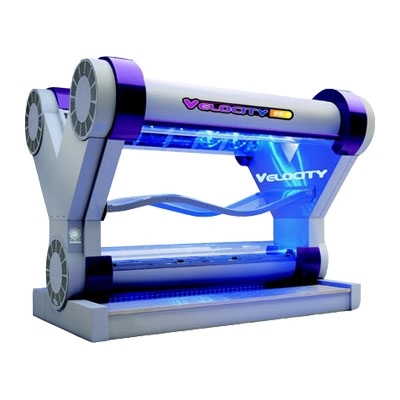 This tanning bed offers 360-degree tanning, featuring a contoured, suspended acrylic for the ultimate tanning experience. Members should come 3x in a one-week period to jump start their tan and 1-2x MONTHLY after that to maintain their tan!